"Commissioners were told that the Notice of Apparent Liability could not be released or publicly discussed until April 1, 2016, conveniently one day after the Commission was scheduled to expand the Lifeline program to broadband," Pai wrote. "That’s not right." FCC spokesman Will Wiquist insisted that the timing was completely coincidental. "The timing of the enforcement action was in no way related to the timing of the vote on the program modernization," he said in an email. Lifeline has faced controversy over enrollment requirements that its critics say are too lax and vulnerable to fraud. The service, which subsidizes cell phone plans for low-income Americans, allows beneficiaries to enroll using cards issued for the Supplemental Nutrition Assistance Program (SNAP), a welfare program that has also faced fraud allegations. Critics of the Lifeline program began calling its subsidized cell phones "Obamaphones" early in the Obama administration in response to viral YouTube videos of beneficiaries thanking the president for their free phones. The program was actually created under President Ronald Reagan. The FCC’s NAL last week accused cell phone provider Total Call Mobile, which provides Lifeline services in 19 states, of "systematic and egregious misconduct" and "widespread enrollment fraud." According to the commission, Total Call employees enrolled tens of thousands of duplicate Lifeline beneficiaries and pocketed the extra subsidies. The FCC caught onto the scheme when the company enrolled an undercover FCC investigator in the program without asking for any eligibility documentation. "Since 2014, Total Call has requested and received an estimated $9.7 million dollars in improper payments from the Universal Service Fund for duplicate or ineligible consumers despite repeated and explicit warnings from its own employees, in some cases compliance specialists, that company sales agents were engaged in widespread enrollment fraud," the FCC said in a news release. A common means of fraudulent enrollment was the repeated use of a single SNAP identification card, according to the FCC. That drew the ire of Commissioner Michael O’Reilly, who said the use of SNAP cards as Lifeline verification mechanisms is woefully inadequate. "I must once again lodge my extreme frustration that the Commission continues to rely on SNAP as an entry point in the Lifeline program, and has the gall to claim that it is a highly accountable program, when it is painfully obvious to anyone paying attention that SNAP is riddled with waste, fraud, and abuse," he wrote in a partial dissent in the Total Call case. Despite those ongoing concerns, the FCC recently voted to expand the Lifeline program to include subsidies for 3G wireless broadband service. That vote followed a contentious debate over the scope of the expansion and its accompanying price tag. The commission approved the expansion by a narrow 3-2 vote on March 31, a day before the FCC announced its Total Call NAL. The existence of a massive ongoing Lifeline fraud investigation might’ve affected public perception of that vote, if not the vote itself, leading Pai to call the muzzling of commissioners on the Total Call investigation "conveniently" timed. Pai also objected to commission delays that he said prevented it from sanctioning Total Call for the full scale of its apparent misconduct. 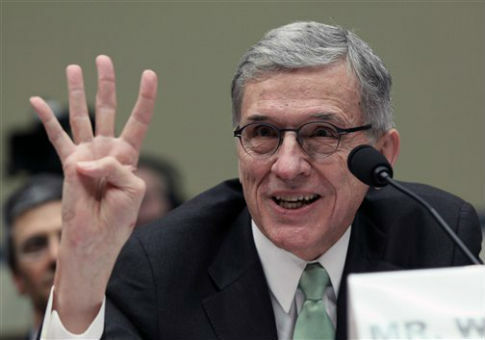 "Even though [the FCC] identified 32,498 intra-company duplicates, we pursue only 2,587. Even though we have evidence that Total Call Mobile bypassed federal safeguards to enroll 99.8% of its subscribers, we hold the company liable for only 16%," Pai wrote. "Under these circumstances, our precedent suggests that a forfeiture of at least $84,295,910 would have been appropriate. Yet the Commission settles for something much less." Even as the FCC was investigating this pattern of alleged fraud, Total Call was pouring money into its new Washington lobbying operation. According to disclosure forms, it hired lobbyists with the firm ML Strategies in June of last year, a month after the FCC subpoenaed the company. ML Strategies has reported collecting $120,000 in fees from Total Call to lobby Congress and the FCC on "general issues related to the Lifeline program." The FCC’s investigation is not Total Call’s first time running afoul of federal regulators: the commission issued a $12,000 NAL in 2010 accusing the company of failing to abide by regulations on hearing aid compatibility. Its sister companies have faced far larger fines for more egregious offenses. Total Call Mobile is wholly owned by prepaid phone card company Total Call International, which is wholly owned by Japanese telecommunications giant KDDI. KDDI is also the sole shareholder of Locus Telecommunications. The FCC has targeted Locus in numerous enforcement actions over the past decade, and sought fines reaching into the eight figures. The FCC levied a $5 million penalty against the company in October "for deceptively marketing its prepaid telephone calling cards." Previous Notices of Apparently Liability sought fines from the company of $5 million, $330,000, $25,000, $23,000, and $12,000. After publication, FCC spokesman Will Wiquist told the Free Beacon that the commission had withheld public notification of its Total Call Mobile investigation at the request of its inspector general. This entry was posted in Issues and tagged FCC. Bookmark the permalink.